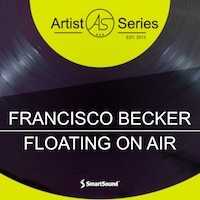 This orchestral album by Francisco Becker takes you on a journey of easy sounds and playful melodies perfect for happy, romantic or melancholic settings. Becker uses primarily strings and piano, paired with percussion to transmit the emotional moods on this album. All tracks can be adjusted in length, mood, and instrumentation with SmartSound's Mood Mapping technology and within SonicFire Pro.